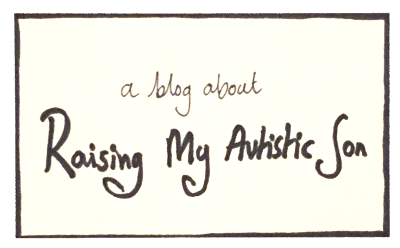 I have been planning to write a blog for a long time but was really stumped on a title. I have had a lot of ideas. Since the blog will be primarily about Edward I thought it only fair to involve him in choosing the title. 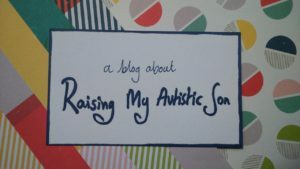 He liked not a single one of the offerings I presented him with and in the end suggested that I call it “A blog about raising my autistic son” because that is what it is going to be about and therefore that is what the title should indicate. No surprises. Saying exactly and literally what it is. Clearly and accurately autistic. Another reason for waiting until now to write the blog is that I am not some kind of super woman who can raise four young children, work professionally and write a blog at the same time. Let’s face it, I had to give up keeping house plants and tropical fish once the kids came along…. only one of those groups of living things was going to survive. It had to be the kids. Obviously. Edward has had some tough times. There have been moments where the frustration levels have been sky high. When the kids were little I was known to take longer than necessary to put jumpers on so I could have my very own little mini break inside my jumper for a minute or two. I have not forgotten those times when having strapped four children into car seats I found myself hovering outside the car waiting until I felt I had the energy to get in and drive. We are long past that stage. A year ago, aged 13, Edward had a piece of English homework where he had to write a side of A4 about himself. 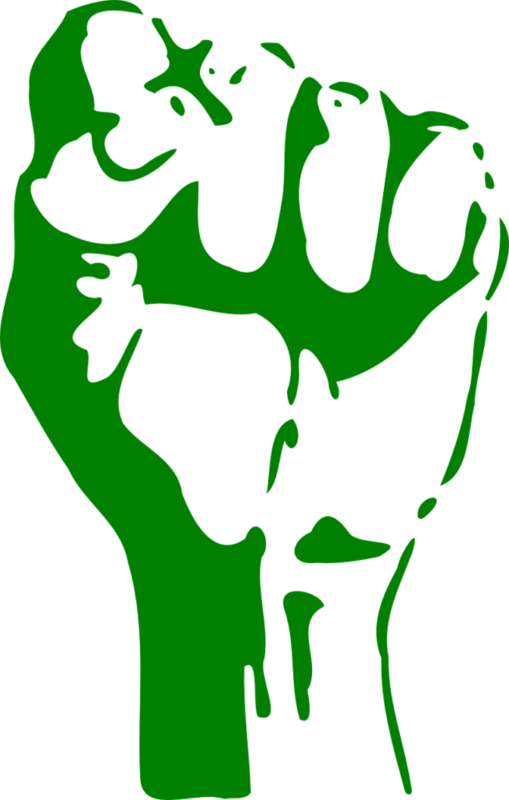 I literally did a victory air punch when I read it and I think you will see why… here it is. When I was born my grandparents thought that I had learning difficulties, because I would stare into space and ignore people. When I was two the first evidence that my grandparents were wrong emerged when my mother took me round to her friends house and left me in the living room. She came back later and was amazed because I had finished a fifty piece jigsaw all by myself. I do not know how impressive that is but my mother was amazed. Primary school for me was a miserable experience. Throughout the first five years of school, I was bullied. At least in part because I had a condition called rhinitis, but I think that the fact that I was autistic also played a big part. One of the major advantages to being an autistic person is that extra focus that means that it is easier for us to become experts in art or science or maths. However, this too transformed into a curse, because it meant that academically I was far ahead of the rest of my class. Being taught in primary school, I was incredibly bored and often complained that school was getting in the way of my real learning that I did at home, on the internet or by reading books. This is not as true now, but even still there are some subjects that I learn more about at home than at school, like history, and there are others that I could learn more about if I tried. It was during primary school that I found out that I had autism. My parents took me to see some doctors who showed me pictures of people and I had to guess what they were feeling and thinking. After that they gave me some blocks, a ball and some other toys and I was told to tell a story using them, I told the longest story they had ever heard, that lasted half an hour, in the end they had to ask me to stop. The test was complete. I had autism. Diagnosed, I didn’t feel dread or despair, I didn’t know what it meant. Since Edward wrote this piece about himself the path has got smoother. I am ready to share stories from the past 14 years about our family life with a large dash of autism. I promise some of these tales will make you smile or even laugh out loud, at least they will if you are of a similar disposition to me. If you are parenting a young child with autism may my tales give you some hope. Very well written by both you and Edward. Very insightful. I loved it Edward. I look forward to more from both you & your Mum. Thanks Clare. I’m enjoying linking up with #spectrum sunday and reading othe parent blogs. Thanks for hosting it! This made me cry! In a truly lovely way. I think this should be used in all schools, in all teacher training and on all courses about autism! I have a professional interest in autism as did my masters on Self awareness in autism and (when my children are a little older I hope to do my phd). This letter is awesome on so many levels and could be used to educate children about bullying as well as educate adults in all the settings I mention above. You have every right to be amazingly proud. Thanks Anna – I’m more than happy for you to quote Edward in the future! I look forward to more of your stories and I love that Edward is involved in your blog. 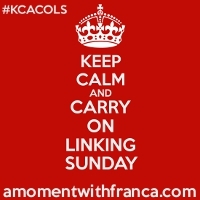 Thanks for linking with #KCACOLS and I hope you will join again on Sunday.